Semi-Custom Collection — LOWCOUNTRY PAPER CO. Learn more about our process, timelines, and customization options in our Collection Guide. From the paper selection and print method to the boxes we use for packaging, your invitations are designed with love and handled with care, and our printing partners are hand selected for their like-minded attention to detail and high standard of excellence. 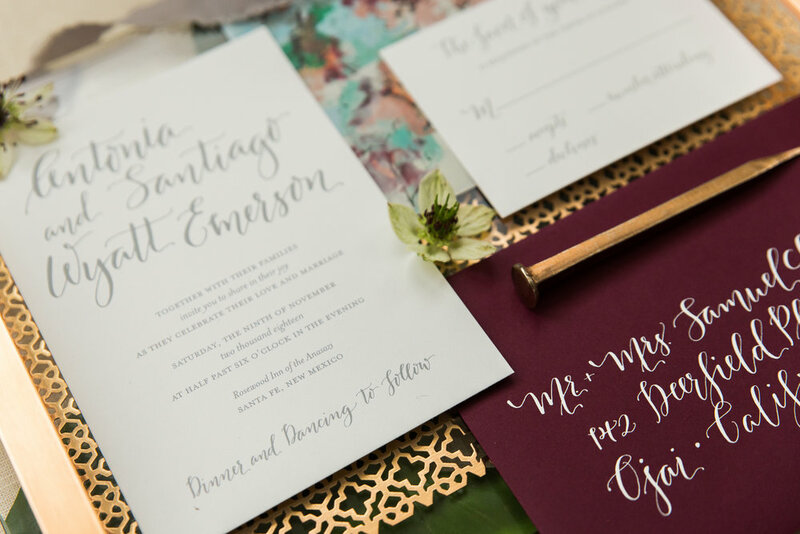 Our collection features five suites that can be customized to fit your needs with your choice of paper, ink / foil color, calligraphy style, and more! 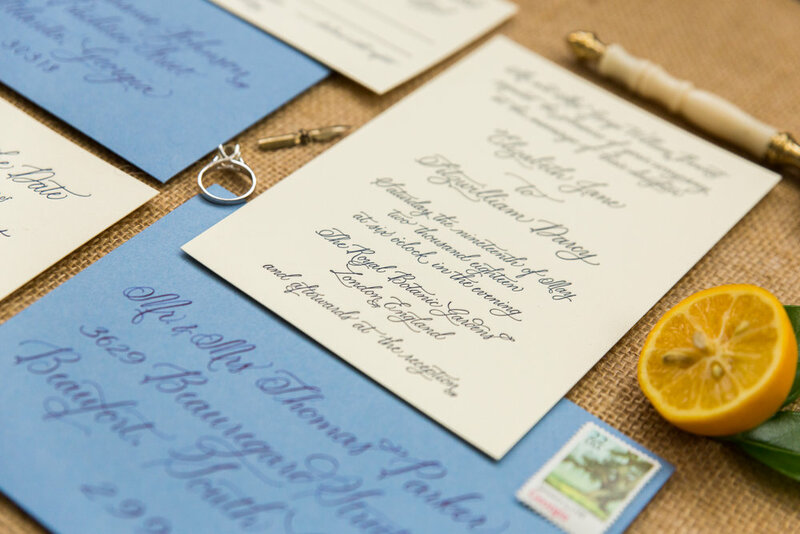 Add envelope liners, guest addressing, wax seals, and more!